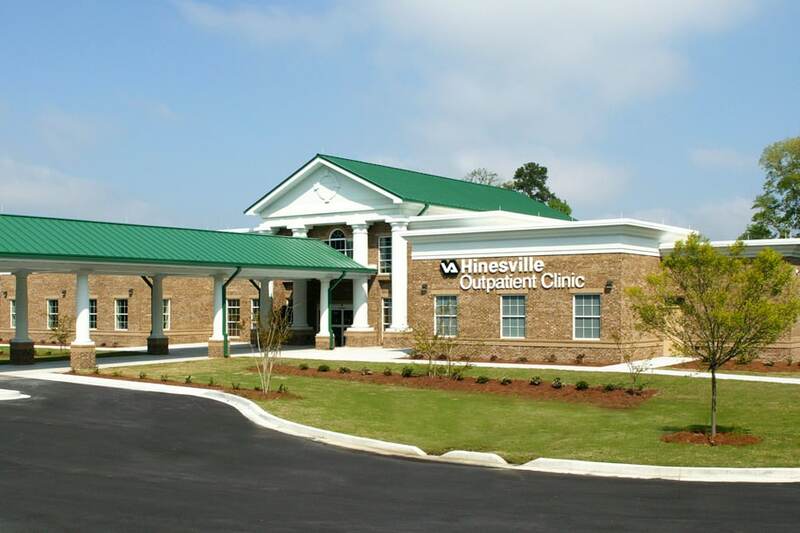 This 1-story, 32,000 SF Outpatient Clinic located in Hinesville, Georgia was designed for the Department of Veterans Affairs (VA). The 7-acre site includes a covered patient drop-off area, parking areas for patients and staff, as well as a wellness-walking trail. 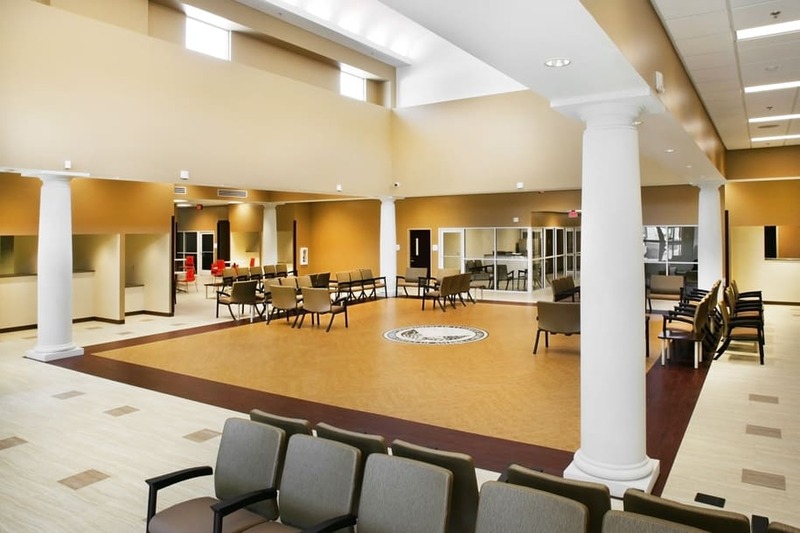 The Clinic was designed to house four separate clinics, each with their own check-in area off the main entry lobby. The four clinics include Mental Health, Primary Care, Women’s Health and a Specialty Clinic that includes Radiology, Ultra Sound, Blood Draw, Eye Lane and Multi-purpose Exam Rooms. Each clinical area includes Exam Rooms, Provider and LPN Workstations and various clinical support spaces. Other features include a large Procedure Room, Administrative area with large Conference space and Staff Break area. The spacious Lobby/Waiting area features a high-profile barrel vaulted lobby and glass clerestory that extends the full length of the lobby. Hussey Gay Bell served as the Architect of Record for this project, which achieved LEED Gold certification in 2014. 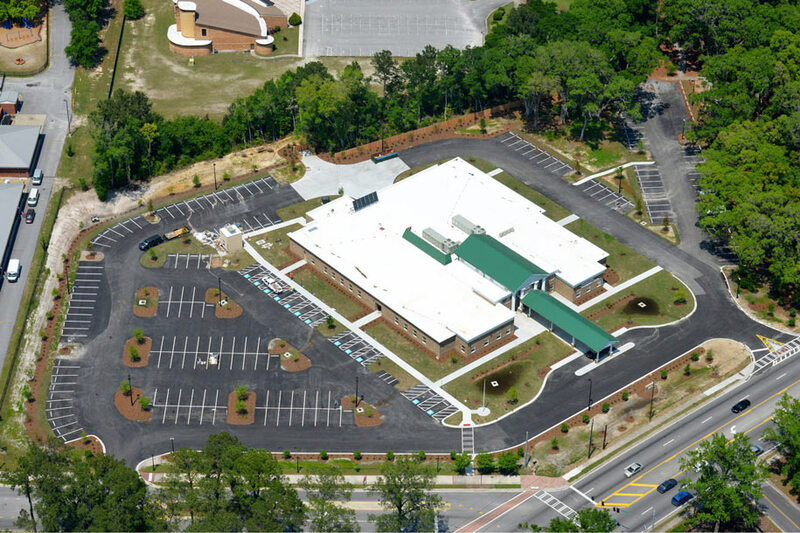 Completed in 2013, this $6.5M Design-Build project provides a healthcare facility with four specialized clinics to veterans and their families within the Hinesville, Georgia area.